Does This Cream Really Get Rid Of Excess Hair? If you suffer from the unwanted or excessive hair on your face you know that this can be extremely distressing. Instead of showing yourself off to the world, you obsess about the hair on your face and if people are looking at it. There are many different solutions for getting rid of unwanted facial hair including the prescription cream Vaniqa. Keep reading to learn all about this unique solution for excessive facial hair. Vaniqa is a treatment for women with unwanted facial hair. Though it is a cream, it is not a hair removal cream like a depilatory cream such as the well-known product Nair. Vaniqa works by blocking the enzyme your body needs to produce hair. Thus, over time, and with continued use, the hair will stop growing. Where Can You Buy Vaniqa? Vaniqa is a prescription-only medication that a doctor must prescribe for you. The reason being is that excessive facial hair could be caused by a medical condition so you need to be under a doctor's supervision in order to treat it. Once you have a prescription, you can fill it at any pharmacy. I Have Fair Skin; Will This Work for Me? Vaniqa can be used on any skin tone and any ethnicity. Note, if you're doing laser treatments, it has been shown to help increase the success rates of laser hair removal if you do use the cream at the same time as getting the treatments done. It is more than fine to use the cream at the same time. Ok - but Does It Really Work? 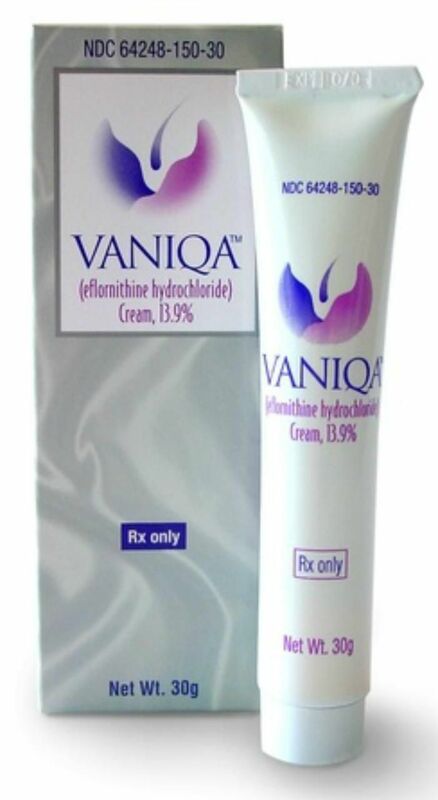 Vaniqa is not an overnight treatment product. Results are seen after 8 weeks or more. This is because hair grows in cycles and you are treating the hair that is not yet growing, not the hair that is currently on your face. This is not a cream to remove the hair that is already there, so the hair that is currently on your face will have to be removed via your typical hair removal options such as waxing, tweezing or threading. According to the studies that Vaniqa released, success rates were as follows: After 24 weeks of Vaniqa use, 5% were almost hair free, 27% had a marked improvement, 26% had some improvement and 42% had no improvement/worse/missing. You can see the exact paper that comes with the prescription at Vaniqa's site. Vaniqa is an ongoing treatment product. It works as long as you use it. Their trials showed that after 8 weeks off of the product, the facial hair returned to the way it was before using the cream. Mild side effects have been shown in a small percentage of people. These effects include acne, tingling, burning, and redness. But according to the makers of Vaniqa, in the study stated above, only 2% of people stopped using Vaniqa because of the side effects. Vaniqa is only for women and only for facial hair. Do not use this product anywhere other than the areas it has been deemed safe for use. Yes. While your insurance may help, it may also not be covered. We paid $126 for a 30-gram tube. I have been cursed with unwanted facial hair. I gave electrolysis a go a couple of years ago, but the pain was just too much for me. I am a redhead with very fair skin and hair with not much pigment, so laser hair removal was never an option for me. I have very sensitive skin and waxing my upper lip is just so intensely painful that I would give anything to not have to do it again. And by anything, I mean paying $100 for a month + of treatment. Forever. What's the Best Drugstore Eye Cream for Dark Circles?